Welcome to Resolve IT Recycling Group. We provide a completely FREE IT and Electronic WEEE Recycling service. Founded on 10 years industry experience we deliver the very highest standards at no cost to our clients. We are 3 Tier ISO accredited and those are the service levels we adhere to. When disposing of IT or Electronics you have legal requirements, that is where Resolve IT can help. We take care of the whole process from Booking – Collection – Treatment and Legal Paperwork. Our clients can be assured they are completely fulfilling ALL legal obligations including GDPR compliance. Your data security is our priority so we have a range of services to achieve this; from free data sanitisation to on-site hard drive shredding we have you covered. There are several regulations which you are required to adhere to when recycling or disposing of electronic or IT equipment which means that they cannot simply be thrown away. Our remit is to fulfil this legal obligation on your behalf, providing you with the peace of mind that your responsibilities have been discharged to a licensed third party. Simply make a booking today and we’ll collect your old IT equipment covering the whole UK. Used IT equipment typically contains a significant amount of sensitive and confidential data, whether related to the company using the hardware or the data of an individual user. Whilst some of this information can be deleted by the user, a large quantity of data remains embedded within hard drives that requires specialist software to erase. Data destruction across all the counties in the UK is a key part of our service offering, providing us with the capability of comprehensively wiping confidential data from every piece of IT equipment given to us for recycling. Whether an external hard drive or the hard disk contained within a laptop or computer, we will ensure that it is completely wiped of every piece of data present. We guarantee to Securely Data Wipe ALL data sources. These include Memory Cards, USB flash drives etc. that sometimes get forgotten. 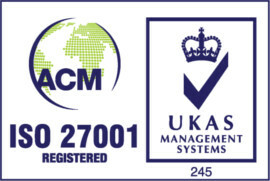 Rest assured that with our ISO27001 accreditation your data is safe in our hands. Data is destroyed to CESG IS5 standard or shredded and a certificate is supplied. 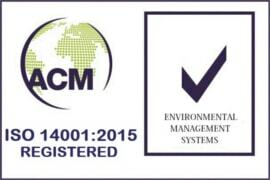 That’s right an 3 Tier ISO9001, ISO14001, ISO27001 accredited company providing a completely FREE service. Everything you may normally expect to pay for is FREE. No other company paid or free matches our service level so why not book your collection with Resolve IT Recycling Group. Need a collection? Then no other company provides a more simple system for getting a collection date. Just have a look at our booking form which takes less than 5 minutes to complete. We will then deal with everything for you from setting a date to the collection and legal paperwork. We are proud to have a 3 Tier ISO accreditation. If you need a company that operates to high standards look no further than Resolve IT. Nothing is more important to us than client security. 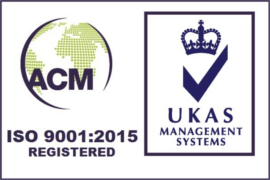 We are 3 Tier ISO accredited and comply with every aspect of UK legislation that regulates the recycling and disposal of electronic equipment or IT hardware. Each member of our team has been security vetted and is comprehensively trained in all aspects of WEEE collection and recycling, allowing you to rest assured that your data is in good hands. If you require electronics recycling, simply call us today to make your booking for collection. Once we have your details, we will complete the necessary paperwork and provide you with a time and a date for collection, completely free of charge. "I just wanted to send you a nice email to say thanks for such a great service. The whole process from the initial emails to collection has been brilliant. Neil was great, he even helped us load the van! Thanks again,"
"The collection of equipment went very smoothly, I’m very impressed thank you very much. I hope you are able to cover your costs. The next lot of equipment will be newer PC’s. Thanks"
"I use these guys time and time again – I wouldn’t go anywhere else to recycle the old equipment, they’re fast, reliable, and friendly. I know I don’t have to worry about paperwork or anything when I use Resolve Recycling, they take care of the lot!" 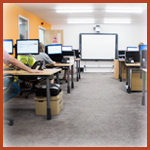 "The whole process from start to finish was very easy and our school will definitely use your services again." "We have been working with Resolve Recycling for 6 months now and we have found them to be reliable and efficient. They always arrive when arranged, the staff are always friendly and polite. I would recommend their service to anyone." HAVE REDUNDANT IT EQUIPMENT YOU’D LIKE US TO RECYCLE?